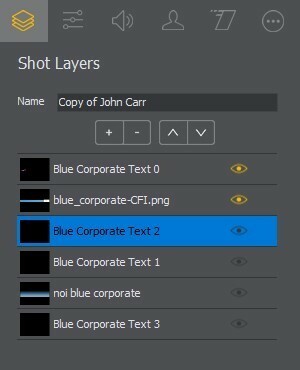 How to remove Shot Layers? Some of the above layers are from an old Wirecast (6) document. How can I remove the final 4 layers? (I was able to remove 1 of the layers, by selecting on the screen, and clicking delete on keyboard. However, most of the layers above are not selectable on the screen. Just click on the "-" button. the + and - buttons are to add or remove layers.